Scott D. Baines : Umpqua Investments Inc.
Scott is Umpqua Investments' municipal bond principal. In this capacity, Scott provides the firm with a niche fixed income service rarely found in the region. Building on years of experience, and developing an expertise that can't be matched at a regional trading desk, Scott is one of the premier municipal-market makers in the state of Oregon. It is this vast knowledge of the Oregon market combined with years of experience throughout all fixed income sectors that makes the Umpqua Investments trading desk so valuable to clients. Scott joined Umpqua Investments in 2000 to manage the fixed-income trading desk. 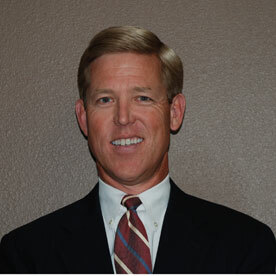 He started his career with Kidder Peabody & Co. in 1982, and has been in the brokerage business for over 30 years. Scott graduated from the University of Colorado in 1982 with a Bachelor of Science degree in Business Finance. He was also a four-year letterman on the University of Colorado's golf team. His interests include golf, skiing and wine tasting. Scott was president of the Oregon Golf Association from 2003-2005 and remains active on a number of their committees. He and his wife, Marlene, have been married for over 29 years and live in Portland and have two adult sons.